Stellar Blue Technologies, a Fox Valley, Wis. based digital marketing firm, launched a new custom website for PCM Credit Union. Based out of Green Bay, Wis., PCM is a credit union that was formed in 1958 to help employees save and borrow to each other with a main goal to support financial success. This is Stellar Blue’s first project completed for the credit union. When users visit the website, they encounter a bold and dynamic design. Users gain a variety PCM knowledge from the layout of the home page. The top-tier navigation bar is equipped with resources for users. They can view at-a-glance loan rates; utilize calculators to determine simple savings, certificate of deposits, auto loans, and mortgages; contact PCM representatives; search the website; apply for a loan; or sign in to an online banking account. If the website user is not a registered member, they can create an account on the home page, too. The main navigation bar provides users with options to explore the site. Each area along this navigation bar houses drop-down menus for more extensive information. On the right-hand side of the home page, the user notices a “Who Can Join” section, in addition to Facebook and YouTube buttons. Users can access the conveniences of the PCM mobile app, also located on the home page. Near the bottom of the home page, users view further details related to rates, credit card protection, mortgage options, and financial wellness solutions. The custom website is built with a responsive design for use on a variety of devices. WordPress integration enables PCM professionals to easily and efficiently update the site on their own. Another feature to note is the fully-functional online banking tool accessible to all PCM members. 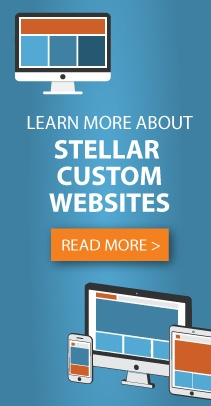 Interested in learning what Stellar Blue can do for your website? Contact a Stellar Blue representative today!